Scarbrough is happy to provide this for you. 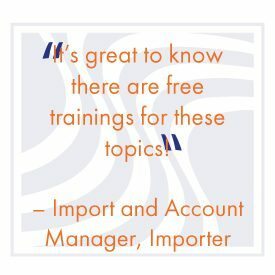 Scarbrough International, Ltd., one of the first full service international and domestic service providers to offer free monthly webinars has received numerous praise and acknowledgement for its free training service. 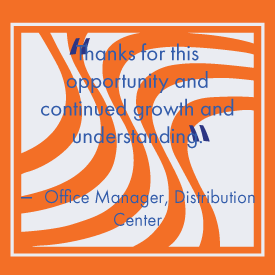 Because of our success rate, we have increased the number of webinars we provide and our attendance continues to grow. 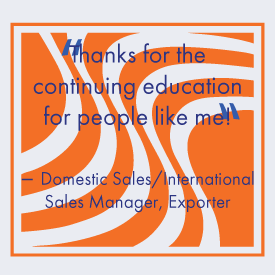 Not only that, but our YouTube Channel has become a popular resource for many importers and exporters to use as their internal training needs. Here’s the thing about our webinars. They are like no other. 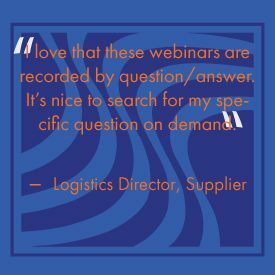 Our webinars are recorded and uploaded to our YouTube Channel spliced by question and answer. Why? So you don’t have to sit in an hour-long training just to find the answer you are looking for. What if you want to watch all of it? Don’t worry, we have the full version uploaded, as well as a playlist that is perfect for you to share with your staff. These webinars are set up in a fashion where we don’t just lecture, we discuss and we allow the crowd to participate by submitting questions before and during the webinar. We encourage our clients to sign up even if they can’t attend so they receive an email with the recording. We bring in experts or have our own experts present on a specific topics, then discuss with the moderator and answer questions from the audience right on the spot. 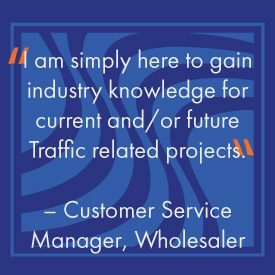 This value-added service is just one way we continually provide our clients with essential information they need. It is our job to make your job easier. Let us know what you want to learn. Our experts have a vast knowledge and want to hear your suggestions on future topics. No topic is out of reach and we always appreciate learning about what you want to learn about. If you have a specific topic you would like to learn about, please reach out to me. If you are an expert on a topic and interested in participating in a webinar as a panelist or if you would like an expert from Scarbrough to speak at your event, please email ktaylor@scarbrough-intl.com. ⟵STEP Grant – Small business looking to export?